The journal considers all manuscripts for publication on the understanding that they have not been previously published and that they are not under consideration elsewhere. Currently the journal only accepts manuscripts submitted in English. Papers are submitted via email to: publications@africanstudies.org.uk. By submitting a manuscript to the journal the author consents to the publication of the article in the journal, they guarantee that the text is their original research and confirm that the publishing has been approved by all co-authors if applicable. The Saharan is a peer-reviewed journal which seeks to engage with a wide and diverse audience. The journal accepts articles from scholarly authors and practitioners from across the globe, and particularly welcomes submissions from African institutions. To be considered for publication, the manuscripts have to meet our rigorous criteria of selection which focuses on originality, vision and impact, as well as structure and style. The editors look for original work which expounds on new empirical or research-based data. Papers which advance creative and distinctive approaches to existing literature will also be considered. The journal is committed to promoting ‘unheard’ voices and original research that stretch beyond popular trends. The journal seeks to publish writers with a clear vision of how their work makes a positive contribution to the wider discourse on Africa. The editors encourage authors to engage with innovative ideas and fearless arguments. One of the core aims of the journal is to promote work with a potential for producing long-term impact, either through innovative research or by generating creative solutions. Papers that reflect our mission to influence change makers into building more sustainable futures, are particularly encouraged. Articles should follow expected academic standards in terms of their structure. Although there is no prescriptive format, the structure of the manuscript should remain constant and accessible throughout and must fit with the arguments made. The journal aims to publish papers written in a scholarly style and with academic content that is coherent, relevant and pertinent. The editors welcome papers on complex ideas which are exposed in an appropriate and easily accessible style. When submitting manuscripts, the authors must state their name and surname, institutional affiliation and their email address. Scientific papers must be preceded by an Abstract of no more than 250 words and keywords of up to five terms. The journal generally follows the Harvard Referencing Guide. Notes should be numbered consecutively as footnotes. Notes must be kept to a minimum and should be succinct whenever possible. Books with one author (Last name Year published: Page-s) Eg: (Smith 2012: 234-8). (NOTE: If the author’s name is already used in the body of the text, then it should be excluded from the in-text citation). Where more than one work by the same author, the cited references should be in date order. Use letters (2000a, 2000b) for works in the same year, with no work unlettered. Books with two or more authors (Last name and Last name Year published: Page-s). Eg: (Weinberg and Gould 2011:15-7). For three or more authors, show only the name of the first author followed by et al. Eg: (Allen et al. 1998:38). (NOTE: if there is no author, the title is used as the first element in the reference). Two or more books (Last name Year published, Last name Year published, etc..). Eg: (Stiglitz et al. 2013, Rodrik 2009, Pack and Saggi 2006). Ibid: Page should be used when the same reference is used two or more times. Punctuation When the reference is placed at the end of a sentence following a direct quotation, it should be preceded by a full stop. If the reference is placed at the end of the sentence following an indirect quotation, the full stop should be after the reference. Books with one author Last name, First initial. (Year published). Title. Edition. (NOTE: only include edition if not the first one) City published: Publishers, Page(s) Eg: Porteous, T. (2008). Britain in Africa.London: Zed Books. Eg: (NOT first edition) Dahl, R. (2004). Charlie and the chocolate factory. 6th ed. New York: Knopf. Books with two or more authors Last name, First initial. and Last name, First initial. (Year published). Title. City: Publisher, Page(s). Eg: Desikan, S. and Ramesh, G. (2006). Software testing. Bangalore, India: Dorling Kindersley, p.156. Eg: Vermaat, M., Sebok, S., Freund, S., Campbell, J. and Frydenberg, M. (2014). Discovering computers. Boston: Cengage Learning, pp.446-448. Chapters in edited books Last name, First initial. (Year published). Chapter title. In: First initial. Last name, ed., Book Title, 1st ed. City: Publisher, Page(s). (NOTE: When citing a chapter in an edited book, the edition is displayed, even when it is the first edition) Eg: Bressler, L. (2010). My girl, Kylie. In: L. Matheson, ed., The Dogs That We Love, 1st ed. Boston: Jacobson Ltd., pp. 78-92. Printed journal articles Last name, First initial. (Year published). Article title. Journal, Vol (Issue), Page(s). Eg: Last, M. (2000) Children and the experience of violence: contrasting cultures of punishment in northern Nigeria, Africa. Vol 70 (3), pp 359–93. Online journal articles Last name, First initial. (Year published). Article Title. Journal, [online] Volume(Issue), pages. Available at: URL [Accessed Day Mo. Year]. Eg: B Malunga, NR Kanyongolo & N Mbano-Mweso (2017). Access to justice of children with disabilities in defilement cases in Malawi. 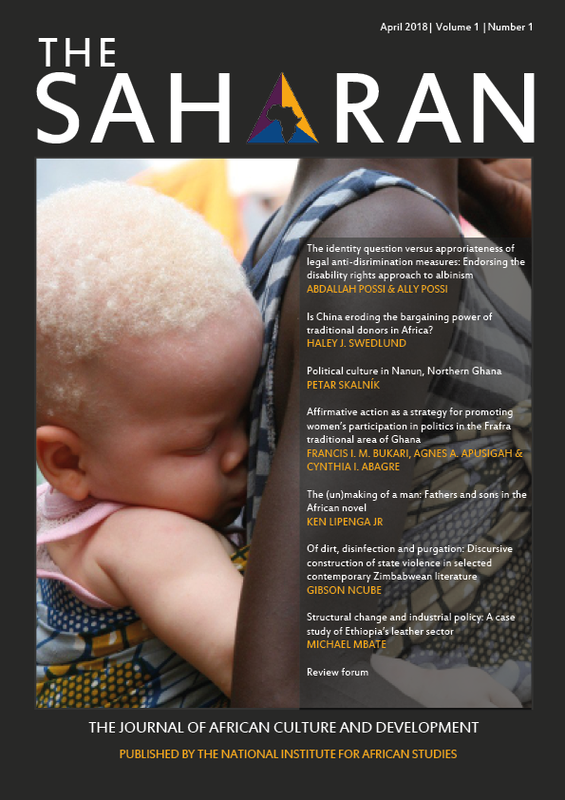 African Disability Rights Yearbook [online] Volume 5(1), pp.25-39. Available at: http://www.adry.up.ac.za/index.php/section-a-articles-2017/bernadette-malunga-ngeyi-ruth-kanyongolo-ngcimezile-mbano-mweso [Accessed 04 Apr. 2018]. Print newspaper articles Last name, First initial. (Year published). Article title. Newspaper, Page(s). Eg: Weisman, J. (2015). Deal Reached on Fast-Track Authority for Obama on Trade Accord. The New York Times, p.A1. Online newspaper articles Last name, First initial. (Year published). Article title. Newspaper, [online]. Available at: url [Accessed Day Mo. Year]. Eg: Sanderson, D (2018). Don’t return all looted artefacts to Africa. The Times, [online]. Available at: https://www.thetimes.co.uk/edition/news/don-t-return-all-looted-museum-artefacts-to-africa-says-v-a-director-tristram-hunt-bpqv90d6t [Accessed 04 Apr. 2018]. Websites Last name, First initial (Year published). Page title. [online]. Available at: URL [Accessed Day Mo. Year] Eg: Bell, J (2008) Motivated by profit and witchcraft beliefs: East African networks target people with albinism [online]. Available at: http://www.flinders.edu.au/ehl/fms/law_files/Criminal%20 Justice/Motivated%20by%20profit%20and%20witchcraft%20beliefs [Accessed 20 Sept. 2016]. (NOTE: When no author is listed, use the following structure: Website name, (Year published). Page title. [online] Available at: URL [Accessed Day Mo. Year]. Theses Last name, First initial. (Year published). Dissertation title. Academic Level of the Author. Name of University, College, or Institution. Eg: Shaver, W. (2013). Effects of Remediation on High-Stakes Standardized Testing. PhD. Yeshiva University. Files should be set up in Times New Roman, 12 pt type on paper size A4, double-spaced. Abstract should be set up in Times New Roman, 12 pt type, italics. Title and paragraphs The title should be left-aligned, in Bold and in 12pt font. Author(s) name(s) should be in ALL CAPS and left-aligned, just below the title. Section headings should be in Bold and left-aligned, subsection headings should be italicized and in Bold. Paragraphs should be indented, not separated by an empty line. Footnotes should be in Times New Roman, 10pt. Indentation of Quotations: Single quotation marks should be used throughout. Double quotation marks should be used for quotations within quotations. Quotations of more than fifty words should be indented, in italics and without quotation marks. Italicization: Words in languages other than English should be italicized. Orthography of African languages Where possible, citations from African languages should follow the established orthography in the countries involved. Closing quote marks and full stops: If the quoted extract forms a complete sentence, or ends with a complete sentence, place the full stop inside the closing quote mark. Eg: According to Smith, ‘Fluctuations in currency have a long history in West Africa. We need to bear this in mind when studying the contemporary situation.’ In all other cases, the quote mark should be inside the full stop. Thus: In studying the contemporary situation, we need to bear in mind the significance of Smith’s ‘fluctuations in currency’. Tables: All tables must be clearly numbered, cited in the text and included in the Word file at the end of the manuscript after the references. Photographs: Together with the contributions, authors can submit photographs as illustrations, provided that consent has been obtained from the author of the photograph or the copyright owner. Four to ten photographs for scientific articles, and two for shorter texts at a minimum resolution of 300 dpi. Photo material must be accompanied by corresponding captions in a Word document. Abstracts and author’s biographical note: Each article should have an abstract, of no more than 250 words. A brief biographical note about the author/s should also be included. Acknowledgements may be written at the end of the article.